In November 2016, AZ voters approved Proposition 206; The Fair Wages and Healthy Families Act (“The Act”). The Act increased the minimum wage from $8.05 to $10.00 per hour effective January 1, 2017. The increase will be in effect until 2020, when it will climb to $12.00 per hour. After 2020, the minimum wage will rise annually, coinciding with the cost of living. In Flagstaff the minimum wage will increase annually in increments of $1 until it reaches $15.50 an hour, or $2 more than the state minimum wage, by 2022. The second part of The Act requires employers with 15 or more employees to provide paid sick leave. The Act states that employees will accrue a minimum of one hour earned sick leave for every thirty hours worked. Employees are able to accrue and use forty hours paid sick leave annually. Employers with less than fifteen employees accrue one hour for every thirty hours worked. These employees can accrue and use up to twenty-four hours annually. 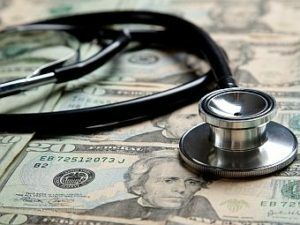 Now that we are 5 months into The Act, has your healthcare organization been negatively impacted by higher wages and benefit costs? If so, we can help reduce these operational costs. Ask me how.